Constructed in XV century. It was probably built from materials brought from the Teutonic Knights Castle, destroyed by townsmen in 1454. 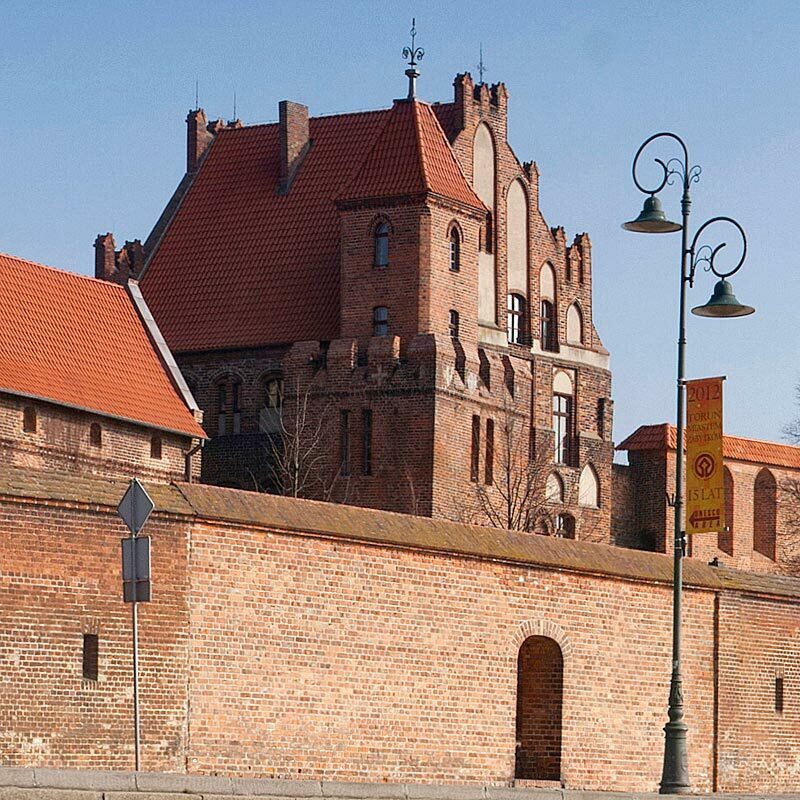 It was a summer residence of the Brotherhood of st. George, whose members were the rich patricians of Toruń. It is a gothic building with slender peaks and numerous blind windows and pinnacles. The present building is composed of a former castle "Sentry tower" from XIII century, to which a square turret with a hip pavilion roof was added in late XIX century, and of the already mentioned Citizens Court from XV century. The complex used to be utilized as a school dormitory and recently returned to its original gothic form. Nowadays, a Centre for Cooperation between Twin Cities of Toruń is localised in the Court.